You know him from things such as Grandma's Boy, Reno 911, and much much more. 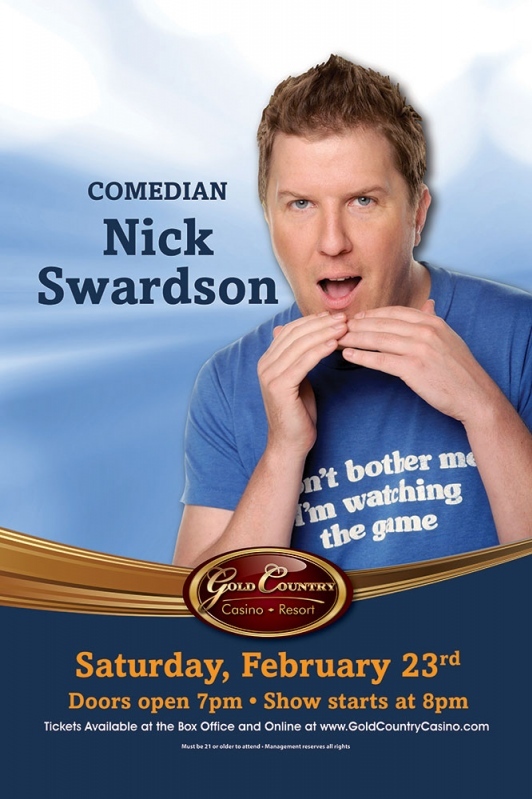 Gold Country Casino Resort is excited to welcome in comedian, actor, and producer Nick Swardson on February 23rd, 2019! Don't miss this hilarious stand-up comedy show!